Look! It's a pig with a beard! A great, big, pig beard! Not quite mutton chops, but almost! The Bearded Pig is a pig with a huge, bushy beard. I cannot emphasise this enough. They are found in rainforests in Southeast Asia and have a beard. 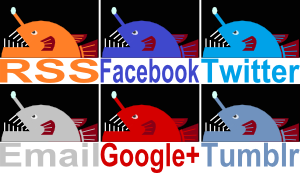 They eat everything from roots and fruits to worms, eggs, small vertebrates and carrion. I'm quite certain that this wide and varied diet allows them to devote their attentions on their beard. They reach around 1.5 metres (5 feet) long not including the tail. Males are only slightly bigger than the female and have a more pronounced beard. 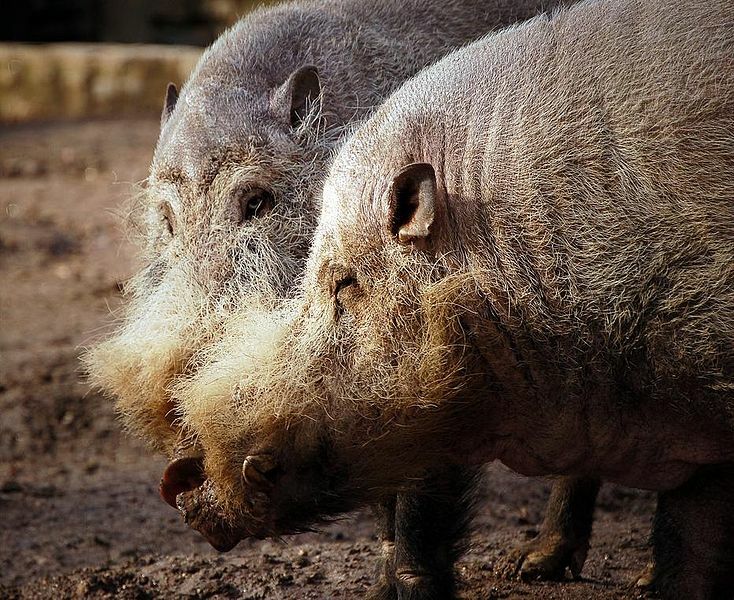 Female Bearded Pigs have a beard, too. No beard envy here. Bearded Pigs have the slimmest torso of any pig, which isn't so interesting because it had to happen to some pig or other. More importantly, they have the longest head of any pig. This provides room for a more expansive beard. There are two subspecies of Bearded Pig, Sus barbatus barbatus and Sus barbatus oi. You can tell them apart by looking at their beards. The former has a shorter beard around the snout, the latter has longer whiskers along the cheeks. 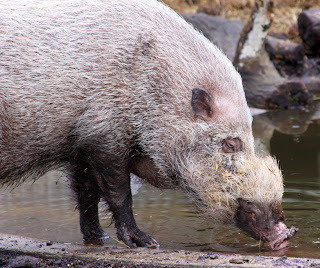 There is also a whole other species called Sus ahoenobarbus, the Palawan Bearded Pig. It took genetic tests to find out that it wasn't just a third subspecies, that's how similar their beards are. Bearded Pigs are also unique among pigs in that some populations migrate every year. Hundreds of them get together to walk the same old route through the night, retiring to the thickets by day. No-one is quite sure why they do it but people assume it's something to do with food, even though I should think it obvious that it has something to do with beard. When not migrating, female Bearded Pigs live together in herds and forage during the day. The males are solitary until it's time for breeding, whereupon they'll find the females and seek to impress them with their extra-special beard. After mating, females build a nest out of vegetation and give birth to 7 or 8 young. They have that brown and yellowish stripy pattern that serves as camouflage and are woefully unbearded. It will take 5 weeks or so for those youngsters to grow in confidence, lose the camouflage and start growing their beard. They'll remain with mother for up to a year, learning survival techniques and the finer points of maintaining an attractive, luxuriant beard. facial hair envy, hahaha! Maybe! Oh my GOD, those pigs rule! I was literally laughing out loud when you keep mentioning the beards after every description, it adds on to the beard-respect we all instantly felt. Though, I remember hearing this theory that pigs/boars/scrofula actually are a big help (in a long run) to the expansion of forests. They're like...pollinating bees where they accidentally collect seeds of trees and bushes and carry them off to other distances. It seems to make sense that they live all their lives around the rainforests and possibly contributed to the spread of so much of the plantlife. You just can't keep your eyes off a beard like that! 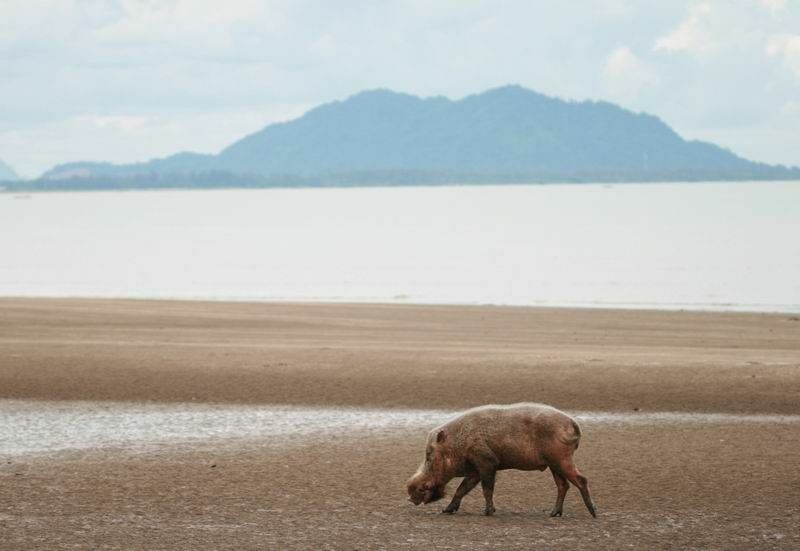 I wonder if Bearded Pigs are even more important for rainforests than other pigs? Maybe their beard collects seeds even better than anything else. They could be among the most important beards in the world! :( In some ways, getting your food from the fridge is a lot better than from the forest.